Games of chance were legalized in Las Vegas back in the thirties of the last century. Since then, the city has become a real epicenter of casinos and other entertainment venues. The state of Nevada and especially Las Vegas has always been distinguished by its free character. For example, it’s allowed to smoke and drink alcohol in the streets and in many public places of Las Vegas. Only there you can leave the club in the evening and wake up with your wife in the morning. Only there even the most non-gambling person cannot resist so as not visiting the casino. One thing is for sure – the Sin City loves fun and money! If you come there, get ready to fork out, otherwise it will be boring. The selection of entertainments, for which you can spend your savings, is just endless. However, you’ll need to rent a car at NU Las Vegas for trying them all. So, what interesting activities await you in Vegas? For many people, Las Vegas and casino are synonymous. How many films have captured these velvet tables, blinking slot machines, placers of tokens, chirr of roulettes and eyes burning with excitement? Now there are about a hundred casinos, and thousands of gambling halls in Vegas. They are happy to welcome those people who willing to try their luck. Minimum bets are very small, so almost anyone can play. All major casinos are located in Downtown area along Fremont Street and Las Vegas Boulevard, more precisely, its part, which is called the Strip. Anyone can visit the casino – the doors are open for everyone, but face control is not practiced in Las Vegas. After each game the slot machine will give you a voucher, which can then be used as a “credit card” for other games. In short, it’s valid for all gambling devices. Its “shelf life” is six months. You can cash out a voucher there, in the hall, in a special machine for issuing money. Everything is easy, simple and clear. All kinds of Las Vegas shows are no less popular than the casino. That’s why Las Vegas is considered to be the world’s entertainment capital. What shows are available in the city? The most popular are, for example, the famous Cirque Du Soleil, which offers almost a dozen different programs, Blue Man Group, David Copperfield, the Mamma Mia musical and others. Price tags are very different: on average, from $30 to $100, but for all the most interesting and popular shows, you will have to pay from $100 to $200. Where to find information about the performances? At the reception of any hotel you can take a booklet, which will list all the most interesting upcoming events. Those who cannot stand still are invited to numerous nightclubs and bars. There are both establishments situated at large casino hotels, and separate ones. Las Vegas clubs are very unique – it’s here that you may come face to face with some celebrity. As for bars, their selection is just incredible! They can be found at any casino or even in the open air. For those who like to tickle the nerves or see something curious, there will be a lot of interesting things too. 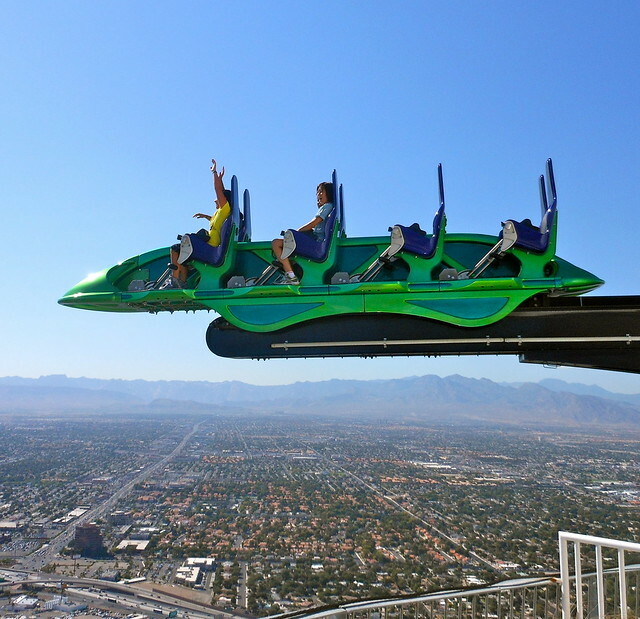 For example, the Stratosphere Hotel offers four attractions: the Big Shot, the SkyJump, the X-Scream, and Insanity. They are located at the very top of the tower, and each them will give a thrill and the opportunity to see the panoramic view of the city. This is one of the most exciting and favorite tourist rides available at New York-New York Hotel. It’s hard to describe it – you should try the roller coaster on your own. Schedule: Sunday-Thursday – from 11 am till 11 pm, Friday and Saturday – from 10:30 am until midnight. A single ticket costs $14, while a 1-day pass is available at $25/person. You can admire the water attraction placed in the Mirage Hotel – Aquarium at The Mirage. It is located right behind the reception desk and you can look at it completely for free of charge. 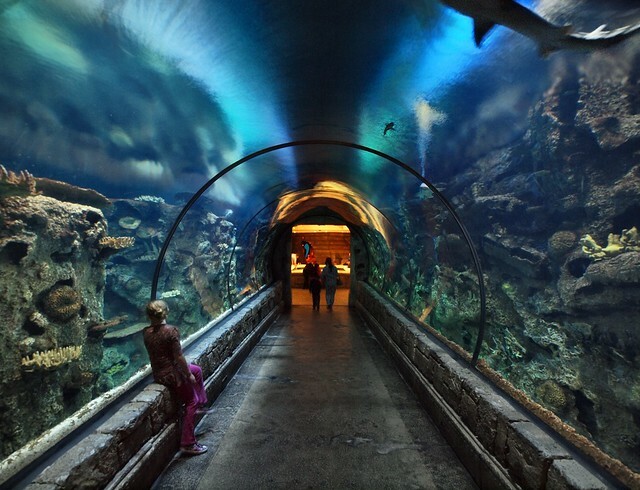 In addition, the fans of the underwater world can visit the Shark Reef Aquarium at the Mandalay Bay Hotel. One of the features of this place is the sensory pool, in which visitors can pet the fish. An adult ticket costs $18, and the price for a children ticket is $12. 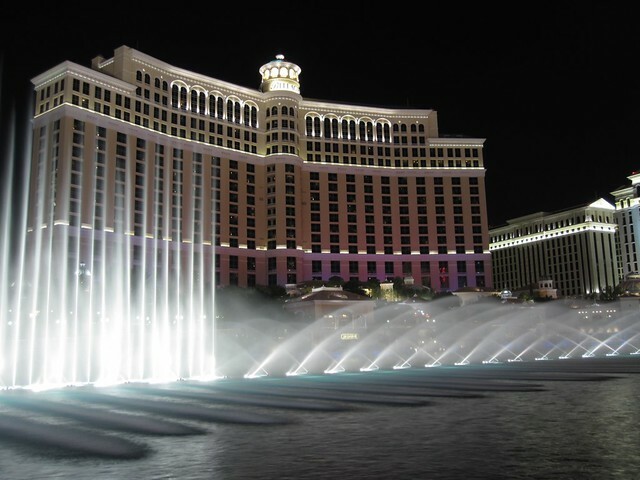 While walking along the Strip in the evening, you can witness the amazing show of the singing and dancing Bellagio Fountains situated opposite the Bellagio Hotel. The spectacle is truly fascinating, even if you have seen more than one such fountain in your life. The Venetian Hotel provides the opportunity to ride a gondola along an improvised canal recreating a piece of the Italian Venice. On Fremont Street, you can become a spectator of the Fremont Street Experience light show, which involves screens that form a dome above the pedestrian section of the street. 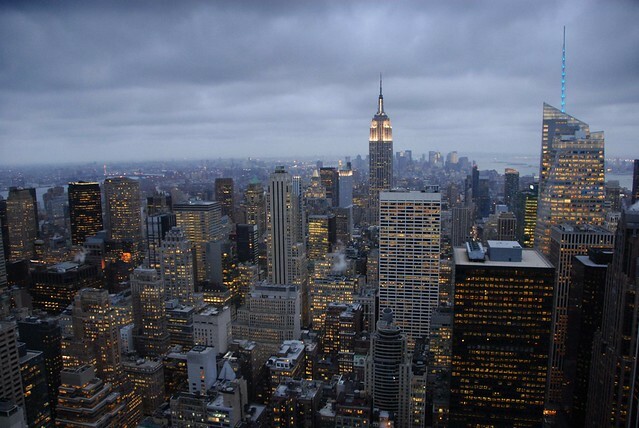 New York is a bright, beautiful US metropolis, which is loved by many travelers from around the world. The city has something to see and to do: there’s an abundance of interesting sights, entertainment venues, as well as a perfect selection of activities. The restaurant is known for its panoramic view of the lush Central Park located in the heart of Manhattan Island. Rent an exotic car in New York and you’ll find it much quicker than by using public transport. The establishment itself occupies the 35th floor in the building of Mandarin Oriental Hotel. Also, from the windows of the restaurant you can look at Billionaire’s Row, known as the most expensive and elite city street. All guests of the restaurant have the opportunity to admire the city skyline from the huge panoramic windows. The owners of Asiate were able to create an amazing atmosphere to provide visitors with unforgettable impressions. The interior of the restaurant is decorated with a stylish furnishing, interesting textures and original presentations. Sculptures of tree-branches hanging from the ceiling look impressive – they symbolize the trees in winter. Each table is decorated with delicate orchids, which create the similarity of Asiate with Asian motifs. The cuisine is simply delicious there. You can choose dishes of Japanese cuisine for eny taste. For example, sushi and sashimi are worth tasting. Visitors from Europe will be able to appreciate the delicious dishes of Italian and French cuisine. Thanks to this, Asiate restaurant in Mandarin Oriental is perfect for locals and visitors to New York. In the very center of Central Park, you can have a great rest from the city bustle, while dining on board a ship standing on the shore of the lake. 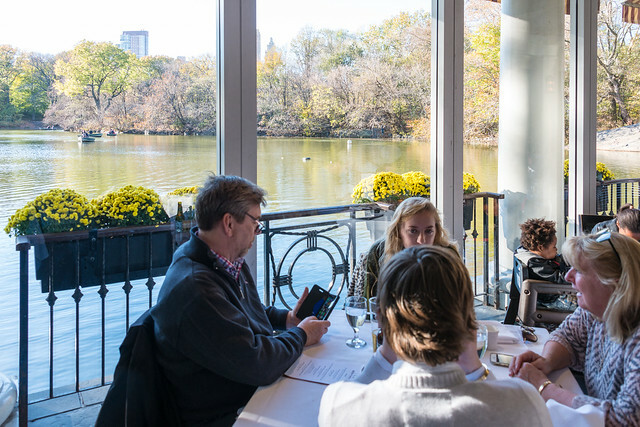 Here’s the Loeb Boathouse Café, offering a breathtaking view of the perfect mirror surface of the pond. The establishment is represented by American cuisine. The delightful singing of birds, fluttering butterflies, the smell of all kinds of greenery and flowers create a truly relaxed atmosphere of comfort, warmth and harmony with the surrounding world. 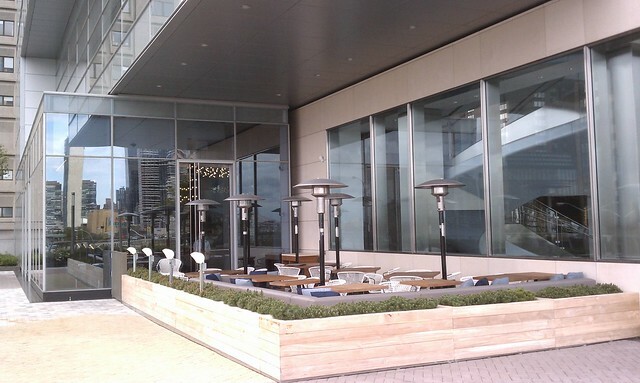 The visitors of Riverpark Restaurant are offered stunning views of Long Island City and the East River. Long Island is one of the largest and longest islands in the United States, and East River is a clear and wide river that runs between Long Island City and Manhattan. Both banks of the river provide gorgeous views of the New York. On the terrace you can comfortably sit on soft sofas and enjoy seasonal dishes of modern American cuisine from the famous chef Tom Colicchio. When traveling around New York, don’t miss the unique opportunity to visit the three-story Alma restaurant, which is located on the rooftop. 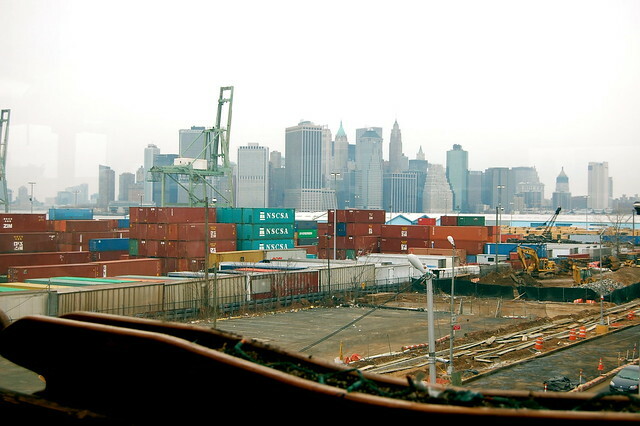 From a bird’s-eye view, you’ll see Brooklyn piers and lower Manhattan. Among the glass monsters of this area are the obelisks of the first generation of skyscrapers, including the Woolworth Building. Alma Restaurant is the pearl of Mexican cuisine, where all the dishes are incredibly tasty and satisfying. Chef Francisco Lopez is the creator of dishes with a complex and at the same time memorable cuisine. Guests visit the restaurant year-round, since in winter the rooftop is heated, and in the summer you can enjoy sunsets from the second floor while admiring the panorama of Manhattan. Those travelers who decide to dine in Rainbow Room will enjoy great views of southern Manhattan. The restaurant is located on the 65th floor of the famous high-rise building of Rockefeller Plaza. The establishment has undergone a renovation ended in 2017, so its interior looks incredibly chic and fresh. 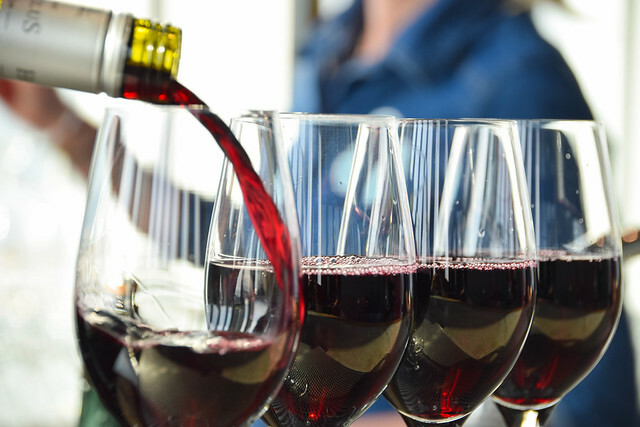 Restaurant bartenders are extremely hospitable, friendly and work very professionally. The original interior in the Art Deco style complements beautifully decorated tables. Rainbow Room is a unique attraction for guests and New York locals. Having climbed up to the 70th floor of the observation deck located above the Rockefeller Plaza, guests will enjoy not only a free alcoholic drink, but also a magical view of the city. By the way, Empire State Building with its endless visitors is also clearly visible. The River Café belongs to one of the most romantic restaurants in New York. 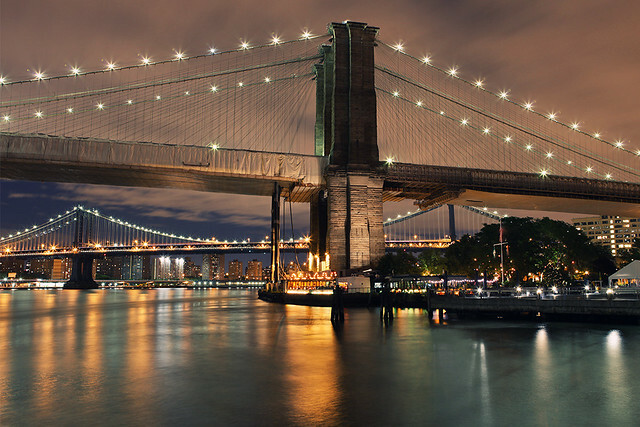 The establishment is located under the Brooklyn Bridge and surprises not only with delicious dishes, but also with a wide night panorama of Manhattan, which can be seen from the opposite bank of the river. The lights reflected in the water create a magical view of the night New York. The cuisine is of high quality there. From the very beginning of existence of the cafe, dishes are prepared only from the freshest and best ingredients. The most important role in the development of modern cuisine of the highest class was played by the use of classical and innovative cooking methods with the simultaneous use of American and international styles. Fort Lauderdale was always a meeting point for students during their summer and spring holidays. This is a territory of channels and white sandy beaches. You can use 14CARS careful help and take a car to drive along the city. You can see that the most of the hotels are concentrated along the Strip. This is the best region to live. The best of the best hotels are situated here. Anyway, you can pick the hotel of different price categories, including luxury hotels, boutique hotels, budget hotels. Want to know the rate of TOP 3 of them? Read the reviews! This is a new and ritzy resort that welcomes you to have a pleasant leisure time at the seaside. 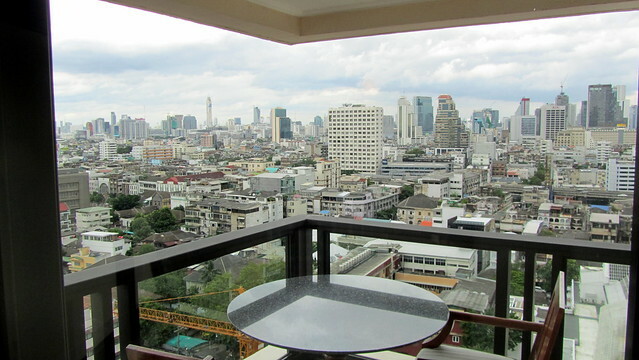 It can boast the favorable location, wise infrastructure, SPA center, and luxury restaurant. The hotel is located on the seaside right on the beach. This is not a problem for you to hang out with friends in the nearby restaurants, night clubs. You can go shopping to the biggest mall Galleria or just drive along the Atlantic Ocean. The hotel can boast all the features that the ritzy hotel should have: marble flooring, high ceiling, golden lamps and glossy wooden furniture around. You can visit an Atlas Cocktail Lounge to have a drink and relax for some time in the deep of the soft armchairs. The decorations are pompous and magnifical. There is a pool with the ocean view and Terra Mare hotel restaurant. You feel really comfortable, spending your evening hours in the beach interior, natural materials, stony walls, and elegant lamps, styled on the sea shells. Competent and well-trained personnel are at your disposal. You can get everything here, including special touristic help that consists of making and guiding personal touristic routes for you. What is more, there is a SPA center and bathing rooms. The range of water procedures you can take here is wide. One of the most popular procedures is called Transcend in the Spirit of the Seas that consists of massage and face care. Want to get fit? Welcome to the fitness-center! If you come here for special occasion, wedding or conference, you may take a banquet hall or conference center! It is not a secret that people come to Fort Lauderdale for arranging the hottest parties. 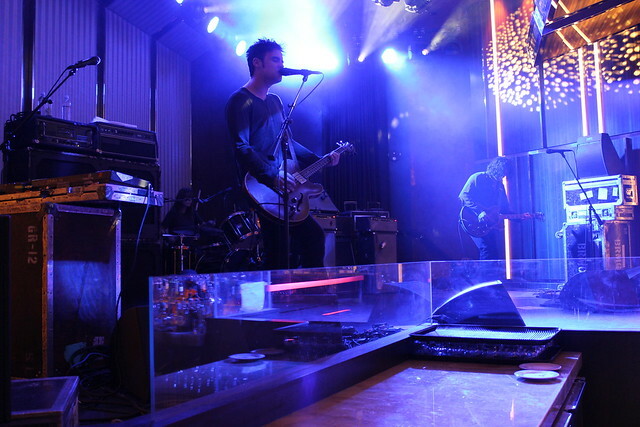 W Hotel is located in the center of the hottest and brightest city life. You can find everything you need to relax and have the best and the funniest time: a large pool, aquarium, beach access, and the best suites with the ocean view from the window. The hotel location is more than favorable! It is situated just on the beach! If you want more attractions, cross the street and you can visit museums, restaurants, and other interesting places. There is a free parking for all driving guests. 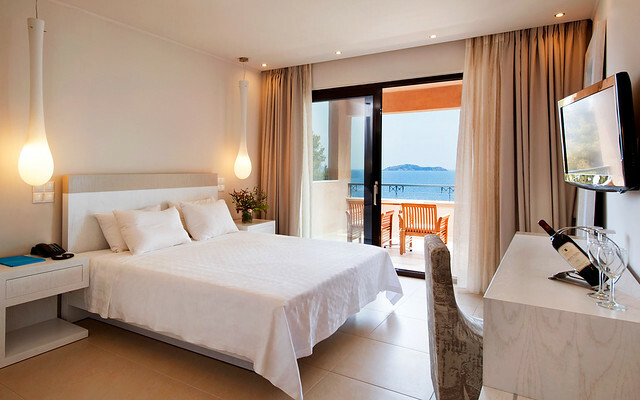 The hotel is bright and stylish place with lot of modern elements and fantastic ocean view from the window. It’s also a funny place at that! You can find a lot of interior elements, like a big aquarium in the lobby or glassy terrace, that make you feel impressed form designer’s creative ideas! The atmosphere in the hotel is friendly and hospitable. Everything helps you to feel a special guest and get to any place on the hotel territory with ease. It doesn’t matter what part of the day is, you can easily get to the night club, disco bar, beach in the fastest way. The beach is comfortable and offers not only sunbeds and umbrellas, but also yoga classes, and water attractions. SPA procedures are traditionally available! Plunge Beach is another good opportunity to spend the best weekend on the seaside! The hotel is situated in the building of renewed old motel. This is a ritzy place that welcomes you with simple and stylish rooms. You can find everything for your needs! The hotel location is favorable for all beach lovers. Traditionally, in Florida the best hotels are located close to the beach. Plunge is not an exception. It is comfortable place not far from the beach and almost in the center, where the most of the central restaurants, shops, and museums are situated. The price is lower just because hotel stands not at the beach, but close to it. It’s a quiet and pleasant place. The hotel is complex of buildings. There are three main buildings, including hotel lobby, restaurant, bar, cafeteria. The space is large, done in industrial style. Look around! There are polished surfaces, light pastel furniture, and cement flooring. You can have a sit in the rattan armchair and have a drink at the bamboo table. The hotel service is friendly and hospitable. Everything is done for your pleasure and relaxation. There are two pools, comfortable beach and bungalows. What is more, there is a fitness center, bicycles for rent. This region is good for cyclists. So, leave your car on the hotel parking and go to meet adventures! The hotels in such a magic place as Fort Lauderdale cannot be bad! The most of them are situated on the beach. If you want a cheaper variant, just pick the hotel not far from the beach line. The service and living conditions are first-class. There is one more thing. If you are an adventurous traveler, you can try yourself in diving and snorkeling. You are in Florida! I love road trips. The way I see it, how can one not? There’s something inherently soothing about driving on along the open roads with scenic beauty surrounding you. It’s a welcome change from the hustle and bustle of daily urban life. Having taken several roads trips, I can safely say they are a great holiday to take with either your family or your friends. Yet some people have had terrible experiences on road trips, and after talking to them, it’s easy to see why. There are several common mistakes people make on road trips, that should be avoided as they can spoil the entire experience. Here are a few of them. Road trips are meant to be a break from our fast-tracked lives. Yet, most people bring that mindset into these trips as well. Road trips are not like air travel – they are not a means to an end. The drive itself is supposed to be an adventure – much like on a cruise. Trying to rush in a road trip is a terrible idea. Take your time and enjoy where you are right now rather than worrying about the next destination. Don’t try to force yourself to travel longer than what everyone is comfortable with just to meet an unnecessary deadline. If everyone agrees to take a stop, do so. These stops provide a much-needed break for our body and mind from the enclosed confines of the car. Breaks are also needed to replenish you with food. This gives the driver, in particular, a much-needed boost for the rest of the journey. We all know how dangerous it can be to have a tired driver behind the wheel. Besides, there are better ways to save time such as starting the trip early in the morning or using Google Maps to avoid traffic. Remember, road trips are about quality, not quantity. Discuss with your group what sights are a must see and ensure that there is time for them. Call up in advance to see if these attractions are open for tourists at the time you want to visit. You don’t want to reach all the way there just to find out that they’re closed. For the same reason, do read weather forecasts as well. You should try to do all the sightseeing before sunset as the views get obscured in the dark. While it is essential to plan some things in advance, your schedule on a road trip should stay flexible overall. Do leave some spare time to see other sights that come your way. You never know what you might find interesting. As a general rule, expect to go slower than planned. However, be mindful that if you go too slow, you may not have time left to see the all the important attractions. As your schedule should remain flexible, booking rooms in advance is advisable. Apps such as Hotel Tonight will help you find a hotel at a good price, even at the 11th hour. The car is a major part of the trip. Quite a lot of your time will be spent in it. This makes it extremely necessary for your car to be perfectly suited for the journey. The car should be big enough for everyone and their luggage to fit in easily. As an example, if there are six people the car should be built to seat nine. I say this because, over a long period, sitting in an enclosed space can make your body stiff and sore. There should be some room for everyone to relax and stretch out a bit. The car should also be smooth and comfortable to drive over long distances. Renting a car is the best option for most people. However, for the explorers among you that love taking road trips often, buying a car for this purpose will be more economical than renting one each time. Sell car online services such as this will get you a good deal for your old car and help you make up at least some of the money needed to buy a new one. If you do take your own car, get its maintenance work done beforehand. Get the tires and engine oil checked. You wouldn’t want your car dying on you in the middle of the trip. Pack in preparation for any unplanned situation that might arise. Carry snacks and drinks as you never know when you might get hungry on the road. Do take basic toiletries such as napkins, toilet paper, hand sanitizer, mouthwash, etc. Take sleeping bags and tents if you plan on camping. Take insect repellant lotions for the outdoors. You should have at least one fully charged phone at all times with the necessary apps for navigation, hotels, and entertainment (g., Spotify for music). Phones are also needed to call for help in case of an emergency. A spare tire and a tire changing kit. As you will be on the move for the most part, you should pack light, but pack right. When budgeting for a road trip, people do consider major things such as fuel costs, hotel bills, and food. However, they commonly forget to consider money spent on buying souvenirs, toll and parking charges among other minor expenses. All these may seem less but can add up to be a substantial sum over the course of the trip. Thus it is advisable for you to carry some extra cash over the expected amount. One way in which you can save a lot of money on a road trip is by refueling in urban centers instead of on a lone pump on the highway. This is because competition in cities helps keep gas prices low there. Gas Buddy is an app that will help you find the cheapest gas stations during your trip. Everyone wants the perfect wedding venue and location, and if you research enough you’ll soon find something amazing. It’s one of the biggest days of your life, so you need to make sure you absolutely love everything about the venue. Yet, it’s all down to personal preference too. One couple may love a country location with the ultimate vintage feel, or you could want something a little more modern. Don’t worry though, JJ’s House designer, Jessica, has you covered. Below is a list of the top 30 locations around the UK that you’re sure to love for your wedding day. It doesn’t matter if you’re looking for something with rustic charm or a sleek hotel, there is something that everyone will like. These picks aren’t in any order, they’re all unique and beautiful in their own way! The Savoy (London) – Think style mixed with chic or this iconic location. It’s ideal for any couple who wants a classically glamorous venue with beautiful tables and chairs. It’s in the center of London too! Proud Country House (Brighton) – Something a little more country-styled. Surrounded by the beautiful green scenery, this country house is the perfect location for any couple who wants to show off their love for nature. Beech Hill (Derry) – Another country house fit for a stunning couple, it combines class with elegance and beauty. Crossing with a country house and hotel, this location is perfect for any Irish couple who love something a little different. Brinsop Court (Herefordshire) – Based in the heart of the countryside, this huge hidden gem has a beautiful exterior and interior. St Georges Hall (Liverpool) – This Edwardian venue regularly hosts music and opera events, but it’s also a gorgeous wedding location too. If you’re a city loving couple, this centrally located venue is an excellent choice. Achnagairn Castle (Inverness) – The true fairy-tale setting. It’s the ideal choice for anyone who’s always dreamed of a ballroom to dance their wedding night away in. Marry the love of your life in a dreamy location and even stay the night afterward too. Hensol Castle (Pontyclun) – Doesn’t every princess bride want her wedding day in a castle? Make it a reality by saying your vows in one of the most unique castles in the UK. Dating back to the late 17th century, this venue has a range of gothic and traditional architecture that is truly amazing. Pinewood Studios (Buckinghamshire) – A little more modern, this location is perfect for a TV and film crazy couple. You can even have a red-carpet arrival which is exceptional and very fancy. Thornton Manor (Cheshire) – An exclusive wedding venue for all the couples who love vintage and traditional values. This manor hall surrounded by greenery and garden grounds is a beautiful choice. Larchfield Estate (Belfast) – Barns are underrated, they make the most special wedding venues. Especially when it’s decorated perfectly for your big day. It might be in the middle of nowhere, but it’s genuinely a perfect location. Kew Gardens (Surrey) – Surround yourself and your loved ones with plants and gardens on your big day, this gorgeous located building is perfect for couples who want something a little quieter but just as stunning. Fazeley Studios (Birmingham) – after being renovated, this venue is a perfect combination of traditional and modern values, it’s 150 years old but looks almost brand-new inside. Any couple is sure to love this location for their big day.